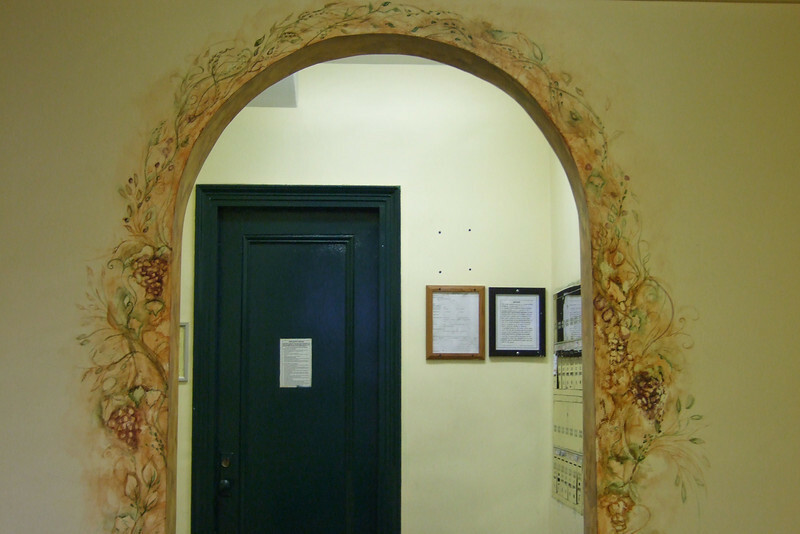 For this residential lobby mural I was asked to work with the pre-existing yellow walls and create a Mediterranean vine motif around a main wall and two archways. My goal was to create a mural that complemented the architecture of the lobby, and that elevated the look of the lobby without being overwhelming to the space. To help achieve this goal I used a limited sepia palette and delicate brushwork. To make some of the vine motif appear aged, small sections were wiped away or lightened to give a faded look.